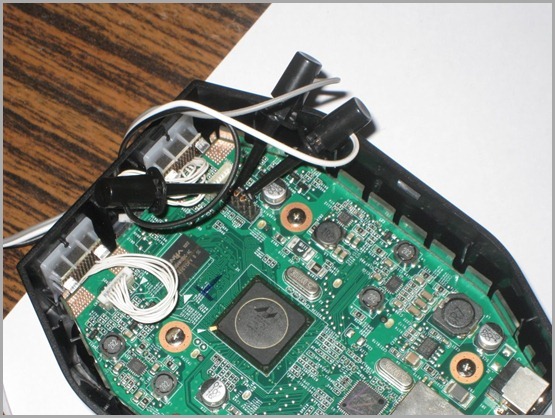 If your GoFlex Net is no longer booting cause you made some change you will probably need to establish a serial connection to troubleshoot the problem. 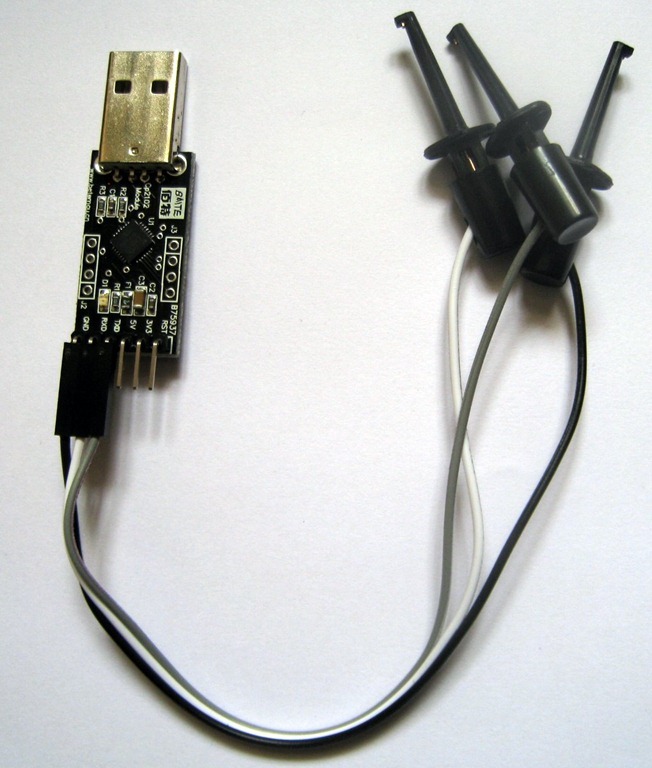 For this you need a serial adapter, but the GoFlex Net uses 3.3 V TTL levels so do not connect your PC’s serial connector to the device as its 12 V.
USB Serial Adapter – You can get one from eBay based on the PL2303 or CP2102 chips. Wire Testing Hooks – You will need this to properly attach the cable to the pins. 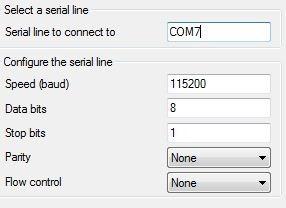 You can also get a Nokia CA-42 data cable as the serial adapter but you will have to identify the correct wires etc which might be a little tricky. On the left you can see how my adapter looked after attaching the hooks. Now you need to open the GoFlex Net to get access to the serial port. For this you will need a plastic pry tool. Use the pry tool to slowly detach the bottom panel from the GoFlex. There are small clips which is holding the bottom panel. 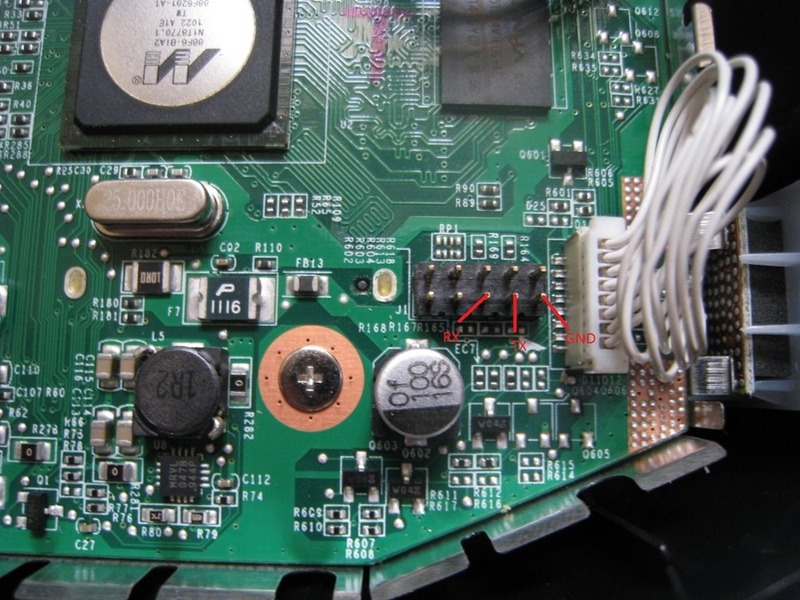 Once you have removed the bottom panel, you will be able to see the 10 pin port as shown below. Now use the cable hooks to attach the cables to respective pins and the final result would be something like below. It may take a while to attach the hooks properly as the pins are really close together. Now attach the serial adapter to the PC, install the drivers and you are ready. If you are using Windows you can use Putty to see the serial output. 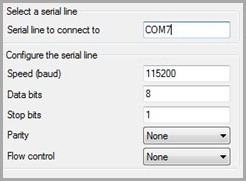 Configure putty with correct COM port, speed as 115200 and no flow control. Now start the Putty session and then power on the GoFlex Net, you should see the console output. From there you can interrupt uBoot to fix any issues with the uBoot environment for instance. 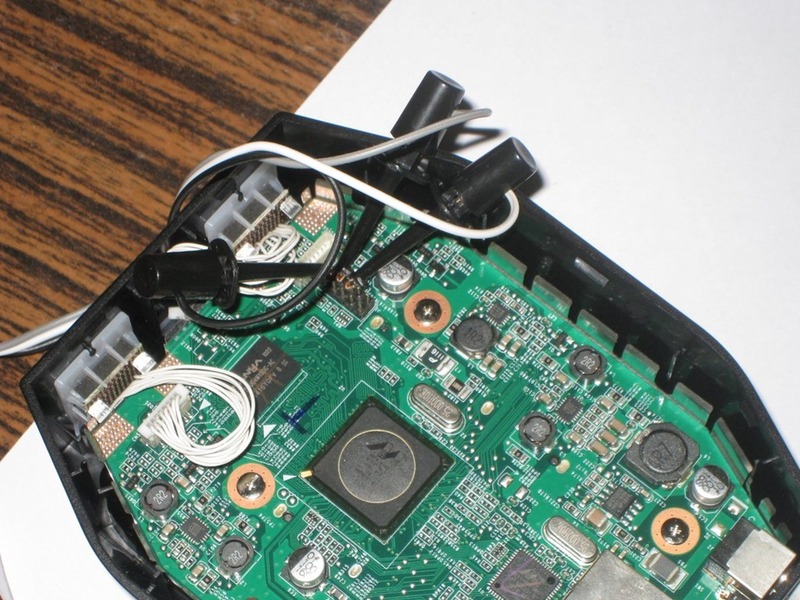 But be careful as you don’t want to brick the device by messing too much with the boot loader and you will probably need a JTAG to recover the device if its bricked.